With Public Issues, anyone can email issues to your project via a custom address. It’s even more useful when you can route your existing support address into DoneDone. This article will show you how to turn your existing customer support address into a front door for resolving issues and getting back to customers all within one centralized place. If you haven't already, create a new project where you’d like all emails from your support address to go. Then, grab the Public Issues email address for the project. 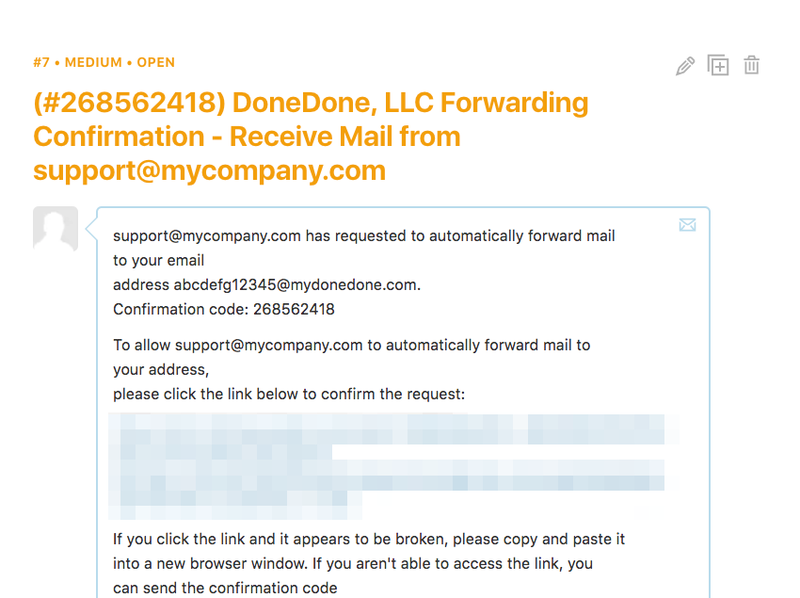 Let’s assume you have a support address like support@mycompany.com. Your next step is to forward all emails sent to this address over to the custom email address above. Most common email hosting providers offer a forwarding option. Just search for “How to forward emails with [your email provider]” on Google. Let’s walk through Gmail as a common example. Inside of Gmail, click the Options icon on the upper-right, then select “Settings”. From there, go to the Forwarding and POP/IMAP tab. Then click the button “Add a forwarding address” and type in the custom project email address. With Gmail (and most trustworthy hosting providers), an email will be sent to the forwarding address containing a verification link. This lets the provider know that you have access to the forwarding address and aren’t trying to ruin an unsuspecting person’s inbox. Click the link to confirm the forwarding address. Then, go back to the Forwarding and POP/IMAP tab. Under the forwarding section, click “Enable Forwarding” and select the project email address from the dropdown. 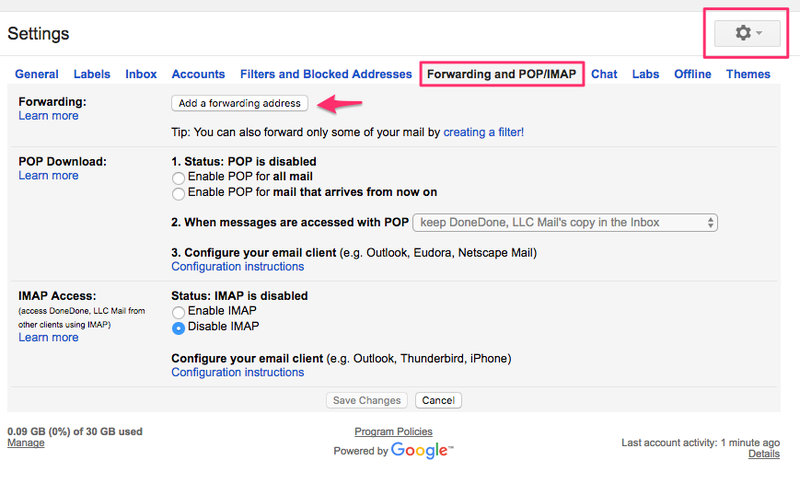 Finally, click “Save” to complete the Gmail forwarding process. At this point, your customer support address should forward all emails directly to your project. Finally, we'd recommend updating your Outgoing issue emails as well so replies to the customer are sent from your support address.